The Floral Design Wooden Key Holder with Paper Holder is sure to score an ace in any household it adorns because of the delightful combination Read More..of aesthetics with practicality. 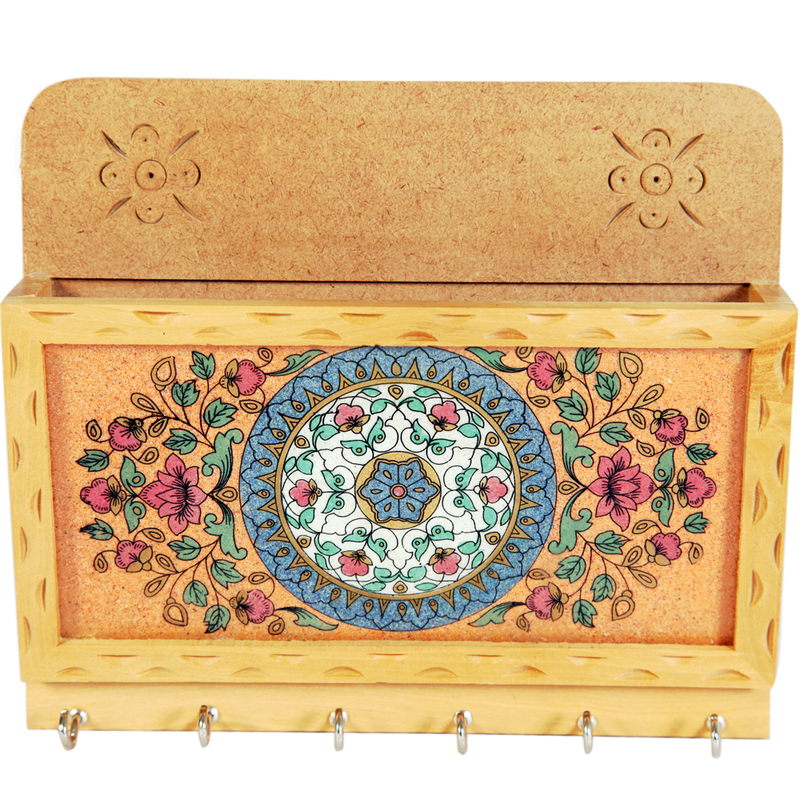 The delicate floral pattern that adorns its front portion makes it quite an eyeful, while it serves the dual purpose of being both a key holder and a paper holder. Therefore, it becomes possible for its owners to use it to keep their papers and keys, while also enjoying the positive effects it has on their wall décor. Show Less..